I want to live at The Landing. What do I need to do now? 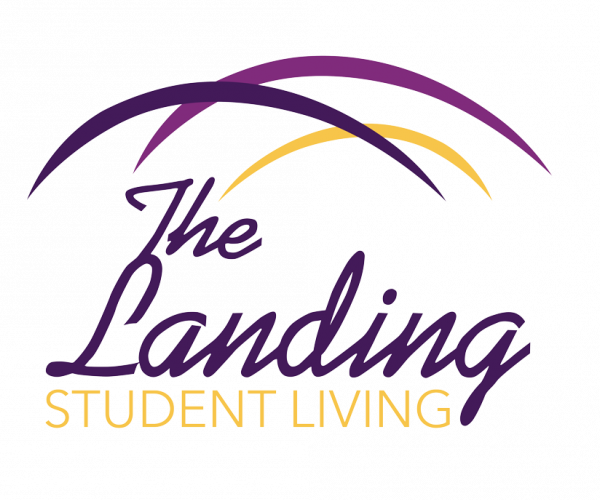 We are so excited that you have chosen The Landing as your new home away from home. If you would like to take a tour, feel free to walk in and take one at any time. If you can’t make it to the property and want to take a full tour, that is perfectly fine for we have full virtual tours for all four of our floor plans! All of our leasing is conducted online! This has been beneficial in making the leasing process easier and more efficient for you. When you apply, be ready to pay the application and administration fee to complete the application. Be sure to have put in all of your guarantor’s information so that once you complete your application, it will prompt them to complete their portion. Once the application is complete, we can complete a background check. Once you have passed our screenings, we can send over the electronic lease! We offer a fantastic roommate matching service. Each resident will complete a detailed roommate profile questionnaire. The Landing will then match roommates who are most compatible based on the responses regarding their lifestyle. We accept checks and money orders in the office. Payments can also be made online with E-check, debit cards, and credit cards (Visa, Discover, Mastercard). You have the option of setting up automated payments too! Yes, there is a $45 application fee and a $100 administration fee. Absolutely! They would need to complete the leasing process just like you did when you first signed, however, there is a standard $500 fee for you to complete this process. You will need to move out in due time for us to inspect and prepare the room for the new tenant so be sure to check with the office for further details! Our cable package offers over 80 channels with over 50 in HD! Some of the channels we offer are HBO, IFC, Comedy Central, NFL network and more! •Bathroom Accessories - shower curtain, mats, towels, toiletries, etc. The beds at The Landing are extra-long full-size. We recommend purchasing queen size sheets to ensure they will fit your bed. The Landing offers wireless Internet throughout the complex as well as an Ethernet outlet in each bedroom. All you need is an Ethernet cable, which can be purchased for an inexpensive price at any electronic store. To connect to the wireless, you will need to set up an account with Airwave Networks. When you try to open your browser, an Airwave page should pop up for creating your account! Our fitness center is open 24 hours a day, 7 days a week. Residents can access the fitness center at any time using their key fob! Yes! We provide one parking permit per resident and it is FREE. Residents may purchase a designated carport for an additional $15 - $20 per month. The Landing has 24-hour emergency maintenance. We will repair all broken appliances and provide replacements if necessary. To contact us after regular business hours, please call the front office and wait for the prompts to be forwarded to emergency maintenance.